Residence Abacta *** is located in the historical center of the town in Královské Vinohrady, 100 meters from Náměstí Míru metro station, only 500 meters from Wenceslas Square (1 metro station). 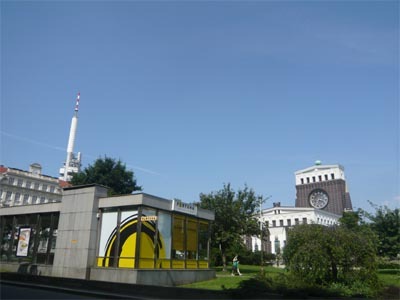 The Residence offers accommodation in 6 rooms on the seventh floor of a building known as the “Fire House” built in the 1920s in a functionalist style. There is a 24-hour communal kitchen corner with a kettle and coffee and tea making facilities in the Residential Hall. 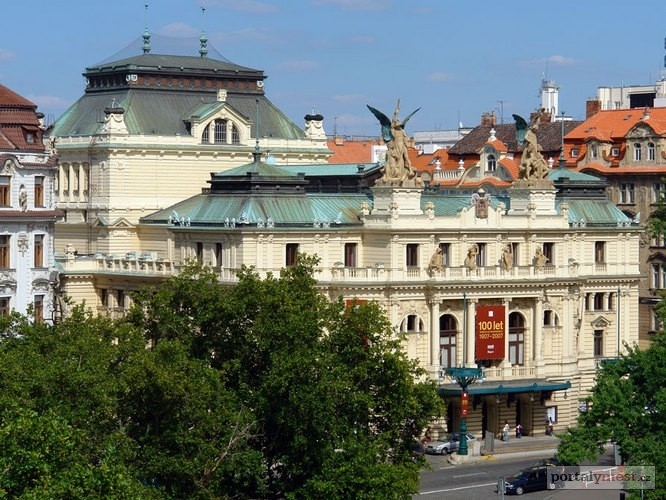 The hotel’s reception is provided by Hotel Claris at Slezská 26, Prague 2, about 250 meters away. The Claris Hotel’s reception is open 24 hours a check-in and check-out takes place at the Claris Hotel. For the key there is a refundable deposit 1000 czk. Breakfast, if included, is served in the Claris Hotel – Buffet style daily from 7.30 to 10.00. Parking is possible at Hotel Claris for 400Kč / day and must be booked in advance. 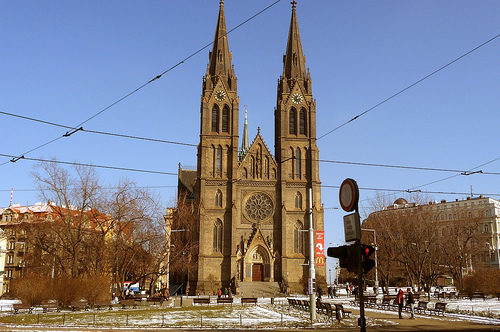 Náměstí Míru (350 m) with the dominant church of St. Ludmila, the Theater in Vinohrady, or the National House in Vinohrady. 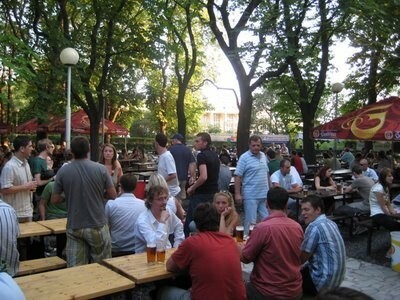 There are plenty of local restaurants, cafes and bars in the square and the surrounding area. Park Riegrovy sady (650 m) – famous and popular park with beautiful views of Prague Castle, beer garden, cross-country skiing area. Park Havlickovy sady (750 m) with Vineyard Arbor, ideal for a picnic or wine tasting. Wine lovers will appreciate. At the gazebo you can enjoy the view of Prague while tasting the wine from the local vineyard. 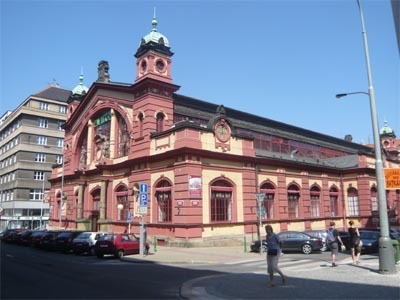 The Vinohrady Pavilion (10 m) Art Nouveau building of the former market is located just opposite the hotel, where there is a small shopping center, supermarket Albert, a café. 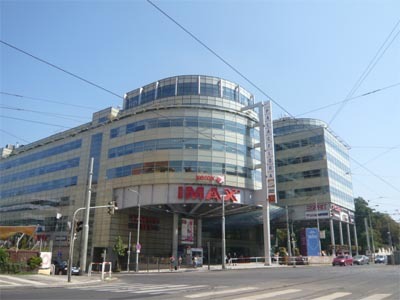 Flora Shopping Center (1.4 km or 3 tram stops), offering world-class brands and IMAX cinema for movie lovers. and get a 5% discount.